Do Shared Goals Help ? Definition. Shared Goals are goals or purpose held commonly by a group of people to which they are committed. A recent engagement with participants of the TISS Winter School in OD for the social sector brought a very interesting aspect of organisations to the fore – that of having a common cause or a shared goal that will connect them together and energize them. In almost all the social enterprises where the OD students were involved in fieldwork, they experienced the employees and volunteers of these enterprises as very passionate about what they were doing. "We could literally see the spark and passion in their eyes” were the words used by the OD students as they shared their experiences. Most of the NGOs concerned here had minimal resources at their disposal – funds, human resources, office space, etc. And they work with people who face poverty, abuse, unemployment, domestic violence, and many such issues that could be emotionally stressful and draining. 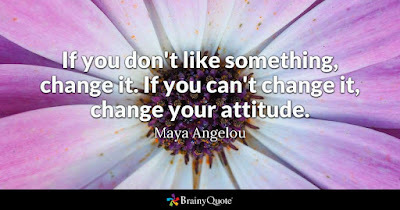 I was recently reminded of this quote by Maya Angelou when I happened to watch Groundhog Day, a Hollywood movie that features a protagonist who is very unhappy with his life. In the movie, Phil is the protagonist and a weather reporter whose life carries a routine which is exactly the same every day, aka, a time loop. He struggles as he tries to make sense of the events in his life that are strikingly the same – it is not only the work he does, and the people he works with that he sees every day. It is also the beggar on the street, the accidental insurance agent, the pothole he happens to step into, etc. He soon starts hating the environment, the town, the people and the celebrations around the Groundhog Day and finds himself cheating others, getting into one-night stands and reckless driving. He tries to get out of the time loop by committing suicide multiple times, nevertheless wakes up to the same day, repeating his routine.